Finding any time to work out nowadays should be easy, but it can feel complicated. You bought that membership to the 24-hour health club, but you’ve yet to show your face. It’s OK – we all share your gym shame too. 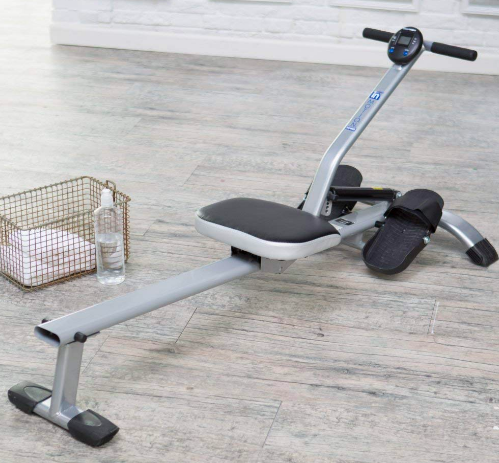 That’s why we want to take an honest look at the Stamina InMotion Rower to see if this product might get you your cardio fix right from your own home. If you are looking for a simple, convenient, and affordable way to get your cardio in, this may be the product for you. 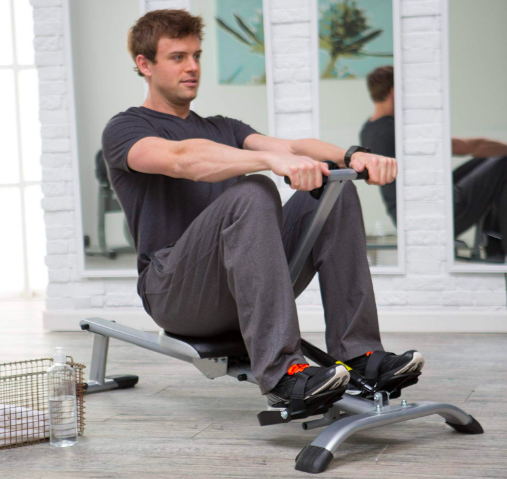 The Stamina InMotion Rower weighs 27lbs, can easily fold for quick storage, and provides a seamless all-body workout wherever you so choose to do so. It comes with 5 different levels of resistance and adjustable seat to accommodate any height. All that to say, it’s universal and ready for use whenever you are! 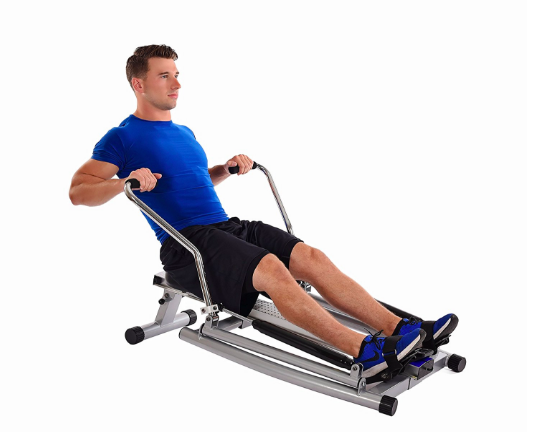 The Stamina InMotion Rower is made from solid steel and can support up to 250lbs. The multi-function monitor displays your workout time, distance, strokes, and calories burned all at a clear range. It comes with pivoting foot plates and adjustable closures, which means it can fit any foot size. The seat is padded and upholstered which isn’t the case for every rowing machine. The black/gray color of this rower is pleasant enough that you can store it in your living room if you wanted too. For your workout, this machine is your ticket to improving your cardiovascular fitness and strengthening all major muscle groups – it’s a mini-gym. Its construction is so that it can be easily folded and stored away with its standing frame.Another great feature is their warranty. It comes with 90 days parts/1 year frame warranty just in case something happens to go awry. For the most part, the product is simplicity at best. There’s no bells and whistles with any rowing machine, but it does the job. According to customers, they love it because it’s easy to use, and they know they’re getting the workout they need all from the comfort of their home. It’s not going to coach you through your workout or play your favorite music from its mainframe, but it will get you the workout you need. The only con we’ve come to find out about is learning how actually to row on a rowing machine. It’s not the ‘learning how-to’ that’s difficult; it knows that there is a proper way to do so. If you’ve never used a rowing machine before, don’t let this deter you. Just like any other workout tool, you may want to look up how to properly use the device before getting on and letting loose to get the results you’re looking for. Stamina provides a tutorial video straight from their website. This machine will run you under $200. This is cheap compared to ALL the other workout products in the business that provide the same all-body workout and cardio. This isn’t a machine you buy for all its bells and whistles. It has one job, and that’s to get you a whole body workout and cardio for the day and about $200. You’ll have paid for it quicker than that 24/7 gym membership you’ve never used. If you are terrible at making it to the gym and know you’ll be more consistent at home – this is your ticket. It’s for those that don’t have the time for a personal trainer but want a total body workout and cardio at the same time. 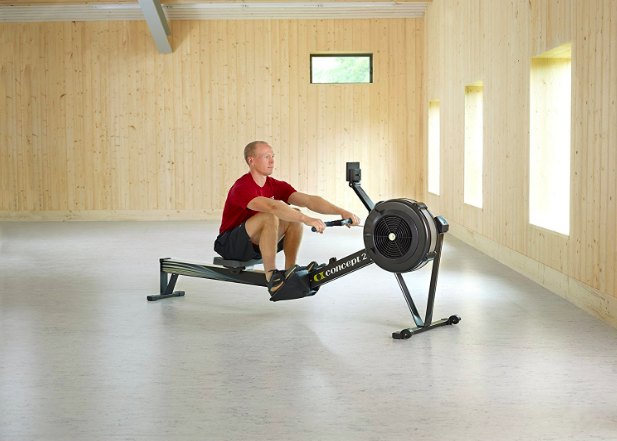 If you don’t want to break the bank and don’t have room for a full-blown treadmill in your living room, a rowing machine is a great alternative, especially one that can be easily hidden in the closet! While this product is excellent for those who want easy access, it’s also a great addition to any workout routine. You may have a whole workout room dedicated to your fitness already. 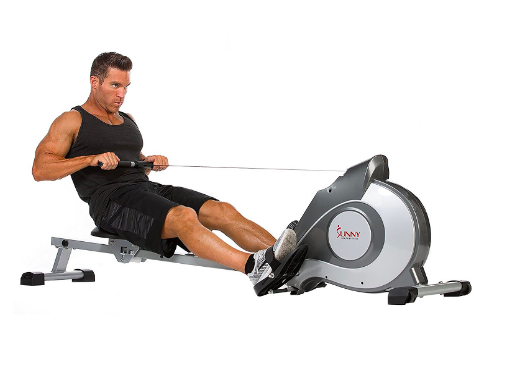 This rower is a great way to get your cardio in, and it won’t take up too much space from your other equipment. Honestly, if you’re willing to drop $40 a month on a gym you never go to, you might as well check this out. On a more serious note, this product is excellent for its price range, ease of use, and cardiovascular benefits. 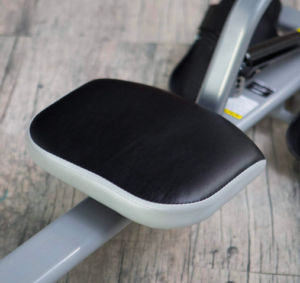 Even if it’s not the only workout tool you own, this is an excellent addition to anyone’s workout especially if you struggle with lower body injuries that walking, running, or using the elliptical can irritate. This machine will still give you a leg work out without straining or putting pounding pressure on any soft spots you may have. 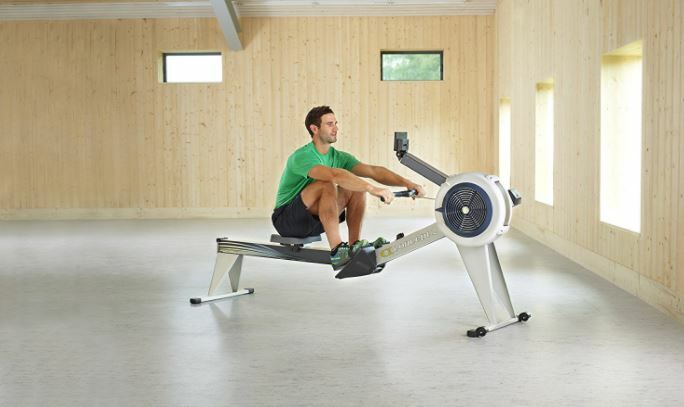 If you’ve never used a rowing machine before, you can still use one – it’s not that complicated. 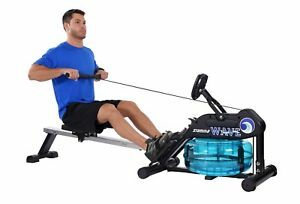 One option you might consider is the Sunny Health & Fitness SF-RW5623 Air Rowing Machine Rower w/ LCD Monitor (Check Price on Amazon.com). While it pretty much has the same capabilities as the Stamina, it does give you an additional two resistance levels and can hold up to 300lbs. This option does not allow you to fold up for secure storage; it does have wheels for ease of transportation. This product will grant you a three year warranty on the structural frame, but this will cost you somewhere in the $200-$300 range from the get go, which may be worth it to you for those additional features. It all depends on what is it that you’re looking for, in the end. 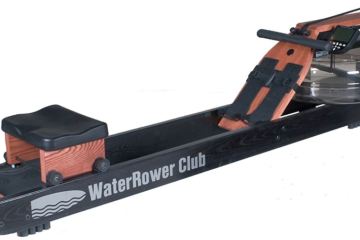 Previous ArticleStamina ATS Air Rower Review: Is It a Good Addition to Home Gyms?